Please note - red colour version shown for illustration purposes only - these are now only available in shiny black colour finish! 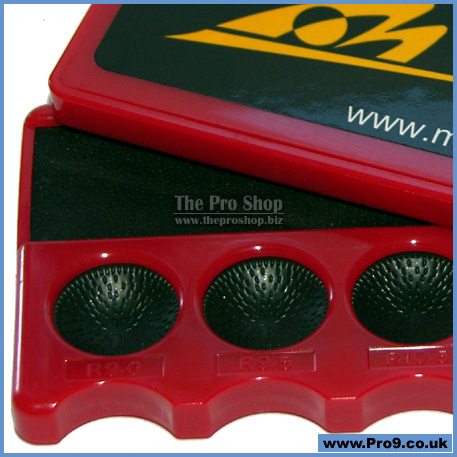 The three different round shapers shape your cue tip to a perfect radius that you want and the other two types of flat scuffer scuff the tip for optimum chalk retention. 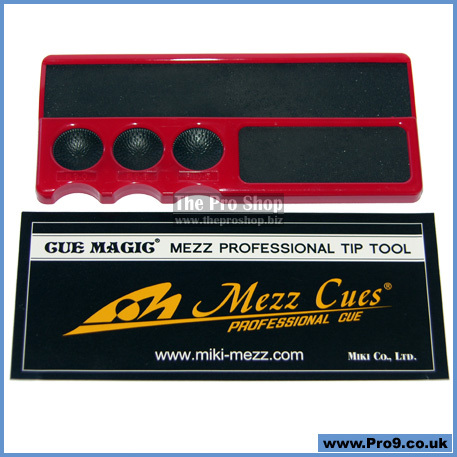 And three kinds of gauge which you can gauge your tip radius and keep the same that will allow you better cue ball control. All abrasives are long lasting metal and do not need replacing like some other tools which require annoying replacement inserts. Find the perfect radius tip to match your stroke using one of the three different sized shapers, each with a gauge to check your work. 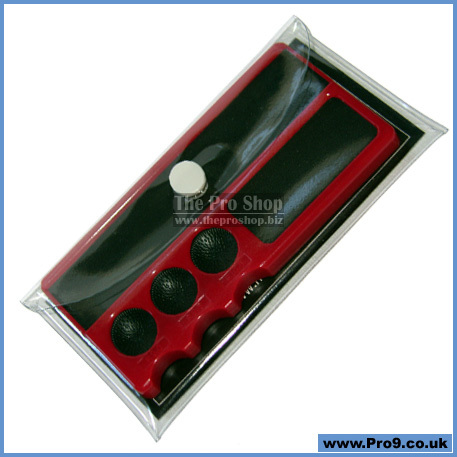 A properly shaped tip will allow you to maximise your cue ball control. 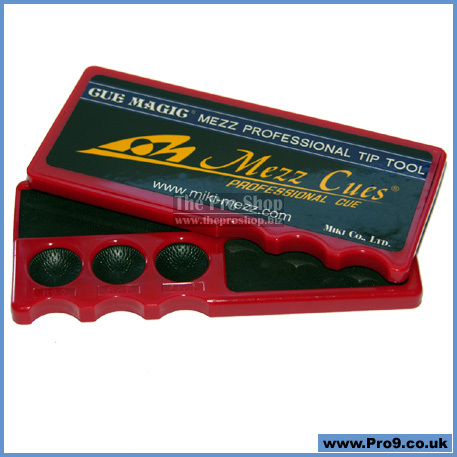 A scuffed tip will hold chalk better and reduce the chance of a miscue, and these two flat scuffers come in two different grits, giving your tip the maximum chalk retention.